Our Consultants receive you by appointment only. The initial assessment lasts about 2 hours and includes an interview and a listening test (TLTS). At the end of this report, we will offer you a listening course entirely personalized. This course includes passive listening sessions, for 2 hours per day. These sessions may be followed by active listening sessions. To schedule an appointment or to ask questions, please do not hesitate to contact us. The Tomatis® Method is a pedagogy that can not be considered as a medical treatment or a means of diagnosis. The content of this site is for informational purposes only. It can not be considered as a medical advice and can not replace it. 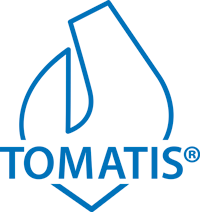 « Tomatis », « Tomatis » + logo et « TalksUp » are registered trademarks of TOMATIS DEVELOPPEMENT S.A.Their use or modification is strictly prohibited (unless expressly authorized). © 2017 All rights reserved.